I’m sorry to post Christmas related pictures when we are not even out of November. However, I am feeling especially festive this year. Firstly because I’m so looking forward to Christmas in this house, the house I have spent the year renovating and making into our home. Secondly, I just love the run up to Christmas – for me, the anticipation and excitement is what it makes it so special. Last year, I was very careful not to post festive pictures before December. December goes very quickly though, and time seems to accelerate as soon as you hit the first week. So this year I’m taking time to enjoy the little pleasures before we are thrown into full on Christmas frenzy! 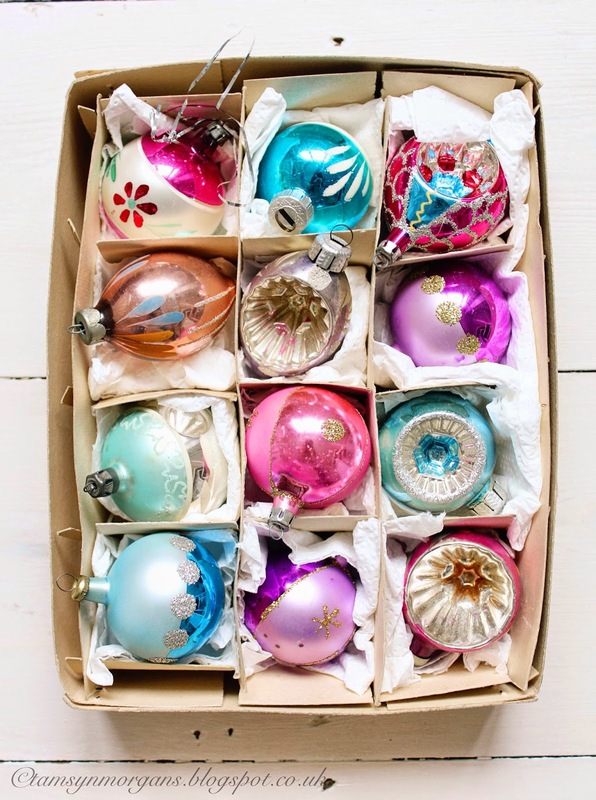 I’m loving these vintage baubles, sitting jewel like in their slightly battered and dog eared boxes. I shall enjoy them like this for a while longer, before we hang them on baby Christmas trees around the house. Love the vintage decorations, they are gorgeous! 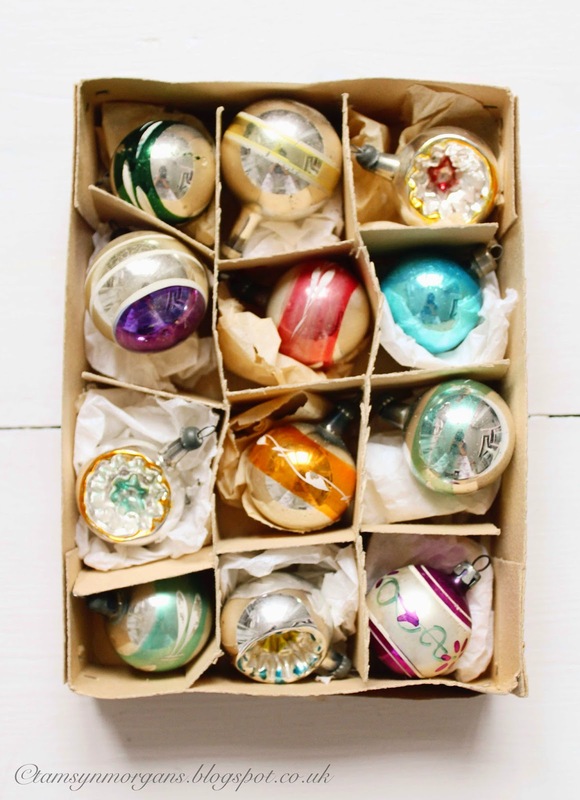 I'm also going for the vintage look on our tree this year too & I've finally managed to get the vintage Cinderella Coach Christmas lights that I have been after for many years :)! 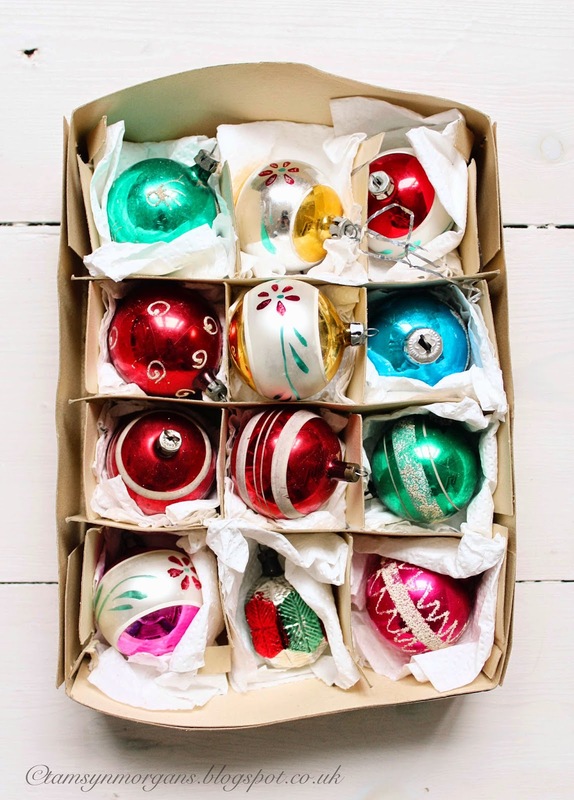 Looking forward to seeing your trees all prettied up.